Buzz60, a news channel that owns some of the most popular websites on the planet such as Buzz60.com, DailyMotion.com, MSN.com and AOL.com, is famous for its exciting and entertaining 60-second videos that always offer informative and hands-on knowledge to the viewers. 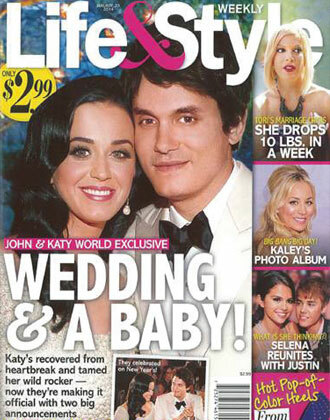 Each video is considered to be opinion-oriented, sassy and sharp and each video is famous for offering a fun perspective to all sorts of topics that range from world news and science to celebrity news and skin care. In a video titled “5 Best Facial Masks On The Market”, Buzz60 introduces the Resveratrol Zinfandel Illuminating Mask as one of its featured facial masks and describes the product as a rejuvenating facial mask that melts your impurities away after a long and tiring week at work. Vine Vera is delighted to have one of our top-selling facial masks featured in Buzz60’s list of the best face masks on the market. We would like to thank our friends at Buzz60 for this informative and exciting video and also invite viewers for a complimentary introduction to this luxurious product at the nearest Vine Vera store. I like masks from Vine Vera. 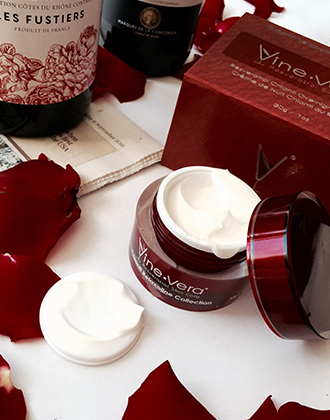 Vine Vera Resveratrol Shiraz Instentic Mask is anti-aging product and it reduce the appearance of wrinkles. I’m 43 and it’s very actually for me. I want to try the Resveratrol Zinfandel Illuminating Mask to help with my skin that looks dull and tired. It can help me LOOK like I got my beauty sleep and then some! I would love to find a product that would give me the results I want. This sounds as though it could be the one. This sounds like an amazing product that I would love to try! The product that I used and was pleased with is Resveratrol Cabernet High-Potency Contour Eye Firming cream. Ive never tried these products. So I am excited to see the results ! Luis in Honolulu did a facial for my wife using this Illuminating Mask and she came out glowing. It is very effective. Amazing products. Went into a location and the employees are stunningly knowledgeable and kind. 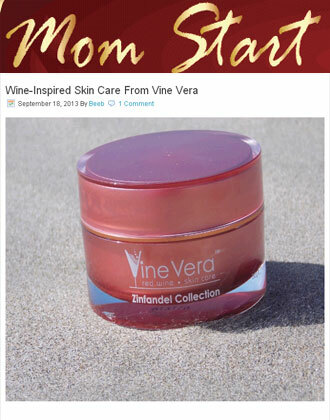 Vine Vera Zinfandel illuminating mask being among the five best facial masks would be great to try. I would love to try this product!!!! I need a new facial mask that helps my face look refreshed and glowing!!! Also, that helps restore a younger glow!!! Resveratrol mask makes one looks years younger as it melts away the fine lines and wrinkles! It is well worth gving it a try. 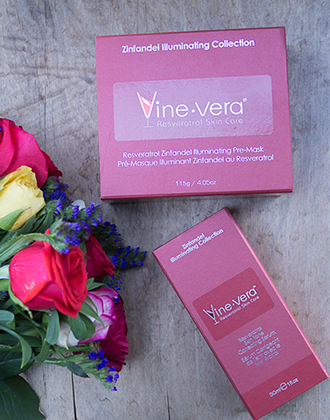 the vine vera Chianti morning recovery sounds like it but be as good as the illuminating mask. I would love to get a chance to try this! I tried the Merlot collection “Resveratrol Moisture Day Cream.” My skin gets dry very quickly with all sorts of moisturizers, but this moisturizing cream was great!! My skin felt like it was “soaking up” the cream. Love the wonderful scent too! Would recommend this product! I’ve heard so many great things about this product! I have not tried this yet, but I sure want to. I have tried the eye cream and WoW.. oh yes it made a difference in no time, only about one week for me. I thought hey if wine is good for your insides, it sure should be good for your skin too. And it is. Being considered one of the five best facial masks on the market is a pretty big deal. I need to try the Resveratrol Zinfandel Illuminating Mask. I would love to try this I have tried a couple of your products and love them. Thank you for this chance I feel like I’m at the age where good skin care products mean a lot. Your products are the best and have really made a big difference. i was introduced to vine vera in Vegas, i bought the collection! It was an extravegance that i rarely would do. However i have not been disappointed in anyway. it is an awesome product my skin has been improved immensely. I have used the products for a full year and if i miss a day my skin tells me 🙂 I am a working farmers wife, hard life and this is my one luxury that i pamper myself with EVERYDAY. This illuminating mask is the best I have ever used. Would love to have this in my anti-aging arsenal! Congrats on being featured as one of the 5 best facial masks! My friend recently raved about your Resveratrol Zinfandel Illuminating Mask and I cannot wait to try it! I love Vine Vera products. I really really Love them!!! Moisturizing is a crucial element in everyone’s daily skincare routine, but finding something that suits your specific needs is not always easy. There are plenty of skincare gimmicks out there, and most of them are ridiculously expensive. I procrastinated on purchasing this product because of mainly the expense. Now I’m kicking myself for waiting so long. I saw a difference after the first application. A little goes a VERY long way. You will see some immediate results, but long-term results will be evident after a few months. Vine Vera has revolutionized my face and neck! I can see a definite difference in the smoothness and texture of my skin. My face has such a great natural glow now that I don’t even use foundation anymore. Thank you, thank you Vine Vera! I am so happy. I didn’t think I could love a product this much! I won’t be using anything else from now on! Literally the best skin care product I’ve ever purchased. I gasped at the price at first, but after using it for a short time, I was convinced it was money well spent. I fell as though I have taken 10 years off my look! Hands down best product I have ever used. I have the Vine Vera Merlot Night cream. It keeps my face moisturized and feeling young. this sounds like an at-home facial. The Resveratrol Illuminating Mask is incredible! I have been using the Reservatrol Shiraz Instenic Non Surgical Syringe for exactly 2 weeks now! The puffiness under my eyes had hugely diminished and my eye wrinkles are GONE!!!! I am so excited to have found a natural product that truly works!!!!!!! I won a jar of Vine Vera facial moisturizer. It is a great product. Leaves such a silky smoothness on the face and neck. 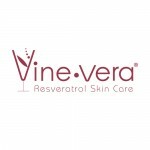 Would love to try the Resveratrol Zinfandel Illuminating Mask! Very excited to try your products! Hear great things about them,! I Love the Vine Vera products especially the Vitamin C collection – I am presently using the Peeling and it is an absolutely great product. I also love the skin cleanser and moisture. Congratulations on you achievement, hope your products get onto more popular lists! I just had a demonstration with the Shiraz Instentic non surgical syringe and could not believe the difference under my eyes! Lines and puffiness went away. I am anxious to see how the results last over time with my purchase. I would love to add a night cream and the Reversatrol Melbec DNA Midnight Cream may be just what I need. I have used the Vine Vera Dark Circle eye cream and my eyes were less puffy and looked so much younger. Great to see your products get featured in a video like this, though, with top of the line, proven effective ingredients, it’s not really surprising. Kudos to you. I don’t remember exactly which product I used but remember because I teased my sister about her “WINE MOISTURIZER”. I have to admit that moisturizer really lasted all day long. Usually 1/2 day and I need/want some more moisturizer on my face. I have never used this product, but would love a free sample. I think that it is great that Vine Vera is delighted is one of our top-selling facial masks featured in Buzz60’s list of the best face masks on the market. I’ve never tried any Vine Vera products but I’m looking for a good illuminator. I love Vine Vera, I can really tell the difference!